If you are looking for a Florida passport office, you can either get a passport book or a passport card to help you in your travels. The passport book is used for the international travel, while the passport card is for local travel and short trips across the border. The latter is a cheaper option for the same day or a few days’ trips. Passport offices are located in most cities in Florida. 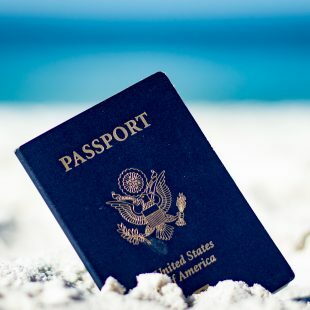 Some popular places where you can find a passport office are courthouses, post offices, private locations, and municipal buildings across various towns in Florida. You can locate the nearest passport office around your location by checking at the official government website or through the use of other resources on the internet. Broward County alone has about seventy-six passport offices where you can get a passport, or have a passport-related problem sorted out. Here you will find more information on where one can apply for a passport or visa in Florida. The application procedure starts with filling the form DS-11. The form is available online on the State Department website. You can fill it online, download a hard copy, or ask for a copy at the passport office. The form should be filled in black ink and duly signed before submitting it to the passport officer. You are required to have identification documents such as the birth certificate, naturalization certificate, or the certificate of citizenship. Furthermore, you will need to show proof of identity using relevant documents such as a driver’s license, government, alien, or military identification. Get two color passport photos that are two inches tall and two inches wide. You should look straight at the camera with a neutral expression on your face. Do not wear glasses when taking the passport photo unless you have a medical reason. When submitting your documents, you need to come with a bank draft, personal check, or money order payable to the Department of state. Some facilities also accept cash. However, you need to check beforehand. The passport book costs around $110 while the passport card costs around $30. As such, you can get both at the cost of $140. It is important to note that there is an additional cost of $25 which is the processing fee. It is a general rule that the cheapest passport should last for at least six months before expiration. Once the passport expires, you may not be allowed to enter most of the countries. You can renew a passport at any of the passport offices in Florida. An adult passport has a maximum validity of ten years while a passport for children below the age of 15 has a maximum validity of 5 years.